You will either care deeply about this news or you haven’t been keeping up with The Leftovers. To those in the latter group: I feel so, so sorry for you. 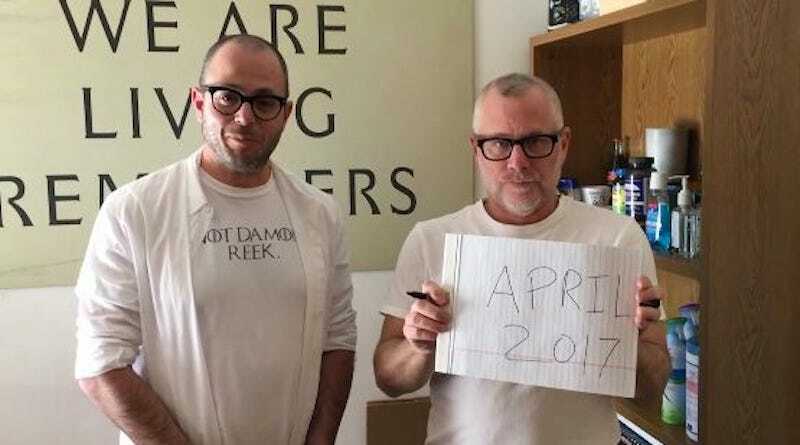 Earlier today, the show’s creators, Damon Lindelof and Tom Perrotta (the latter of whom wrote the brilliant 2011 novel on which the show is based) announced via Facebook that the third and final season of the HBO show—the best show on television according to multiple Jezebel staff members—will return in April. They did this dressed all in white, like Guilty Remnant and Perrotta communicated by writing the news down on a pad. Isn’t that cute? Indiewire points out that The Leftovers will take over the seasonal slot usually occupied by Game of Thrones (its seventh season has been delayed to summer). And so, a beautiful and beautiful show about the individual struggle to cope with death and life that frequently finds its characters in a state of crisis shall soon once again be ours. At last, something to look forward to.